ToKnowHer - Page 2 of 4 - is to LOVE HER! A journey of self-discovery. Come along with me! is to LOVE HER! A journey of self-discovery. Come along with me! Mentorship. Every semester for eight years I have spoken in business class after class at St. Kate’s giving my tips to succeed in the business world. #1 was always “find a mentor.” That advice is changing starting today. What are you craving MORE of? A few weeks ago I was coaching a leader through a major hiring decision on his team. He was struggling to decide between two highly qualified candidates, navigate internal and external pressures, and find the right way to message to all parties involved. We had a FREAKING AWESOME conversation. It was seriously beautiful to watch him light up the path toward the best decision for his total team. Author smschottlerPosted on February 2, 2017 February 2, 2017 2 Comments on What are you craving MORE of? TRICK QUESTION: What do you Regret? This past week I had the opportunity to have a leisurely talk with my sister as she works through a major life decision. Her number one fear as she debates? Regret. Author smschottlerPosted on January 28, 2017 February 3, 2017 1 Comment on TRICK QUESTION: What do you Regret? What Was Your Playlist for 2016? You guyzzzzz……I have had this complete & total explosion of ideas the past few days! Ugh! I’m gushing. Can’t wait to share. But I feel the need to do things chronologically. So…it’s the last day of the year. And holy crap. A lot has happened. So much has changed. I don’t really want to rehash all the details in words (go back and read my blog from the beginning if you’d like to). So instead I’m giving myself and you this playlist available on Spotify here. Take a listen! It’s like my life story in 2016. No joke. Ok, fine. So here’s a bit of (con)text for each song too. Author smschottlerPosted on December 31, 2016 January 1, 2017 Leave a comment on What Was Your Playlist for 2016? What was your Ultimate Failure? But seriously. Isn’t it true? I couldn’t tell you a whole lot about what I learned from my last “success.” Probably a bunch of the trite things people say like—perseverance, singular focus, bringing other people along, blah, blah, blah…. 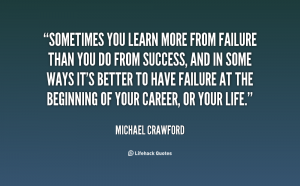 Author smschottlerPosted on December 28, 2016 December 28, 2016 1 Comment on What was your Ultimate Failure? Are you doing what I’m doing right now? I’m getting ready to give & receive some fabulous physical gifts with those I love. Or maybe you’re all prepped and ready! So you’re on to the next big holiday writing a list a mile long of all the ways you want to improve upon your life in the New Year! Can I give you another kind of giving & resolutions challenge? Yeah? I love how y’all are always up for new challenges! You’re gonna change the world with this one. Believe me. I want to encourage you to pause. Take 20 minutes & make a list of ways you want to give to & enhance other lives in the new year. How Do You Measure Your Worth? Self-worth. Do you have a lot of it? The first step to answering that question is to define how you measure it, right? So let’s talk about that! Author smschottlerPosted on December 11, 2016 December 11, 2016 1 Comment on How Do You Measure Your Worth? 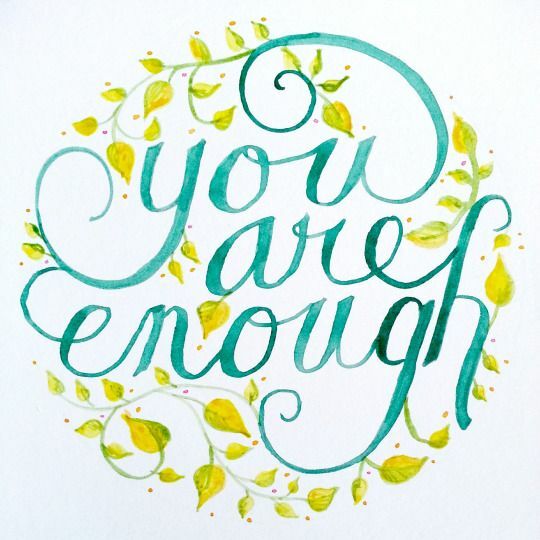 Why are you already enough? Author smschottlerPosted on December 1, 2016 December 20, 2016 Leave a comment on Why are you already enough? Once again, I’m breaking up the “deep questions” posts with profiles of people that I know & love! Reminder: my intent in doing these profiles is to inspire myself and others by celebrating beautiful human beings and what makes them so fabulous. Missed my first profile on my Mom? Check it out here. Now on to the second profile: My wonderful dad, John Schottler! He’s a man of few words (lesson #6) so if you really want to learn from him you have to dedicate time to observing his actions. I’m excited to summarize 30 years of observation with you! So…I’ve been digging through old photos as I look for shots for my blog. As I flipped through screen after screen of pictures I started to realize just how much the photos you take can say about who you are and what you prioritize in life. What role has WORK played in your life? Career Q&A: How do I say NO to more work or ask for help? Foster Daughter Inspired Coaching Offer! Sharing the Good: It's not You, It's Me | You are Awesome on Foster Daughter Inspired Coaching Offer! Want to be notified when new articles are posted? Enter your name and email address below to be the first to know!